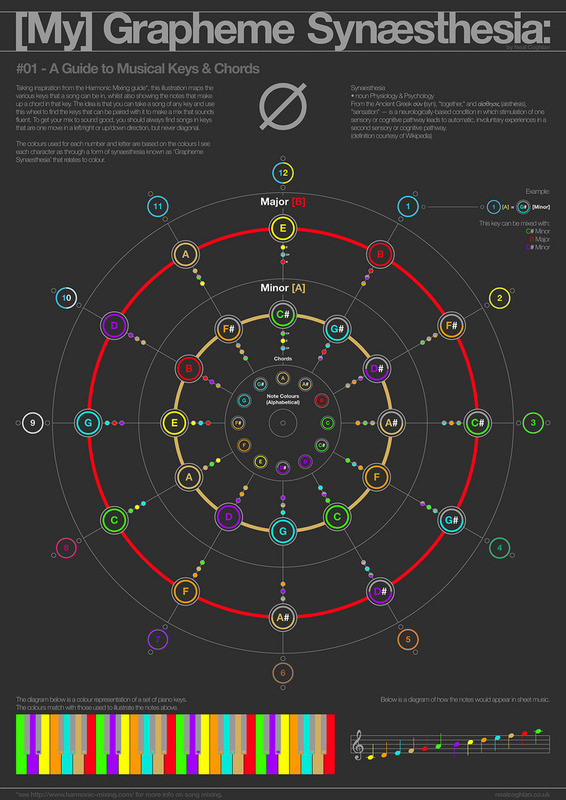 This infographic created by Neal Coghlan - Designer & Animator from London, United Kingdom based on the guide to harmonic mixing (a handy tool for DJs) and his own grapheme synæsthesia. The way that this wheel works is based on song keys, and which keys work well with others. Keys next to or below/above another will work well with each other, and jumping clockwise in the wheel will give a sort of 'boost' to the feel of the music.